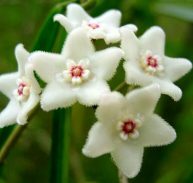 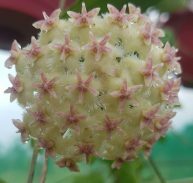 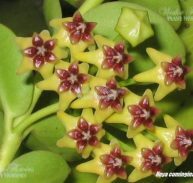 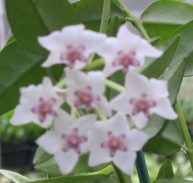 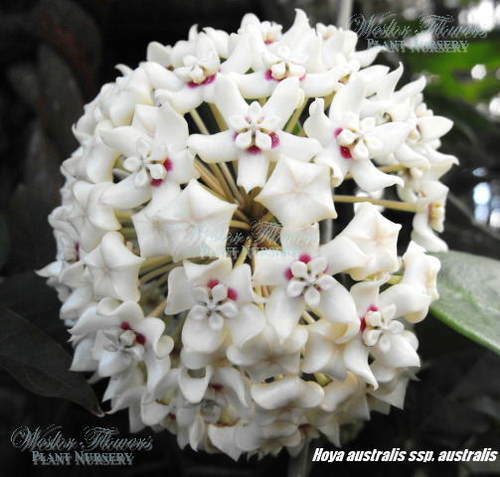 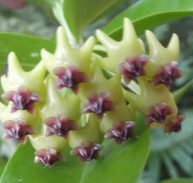 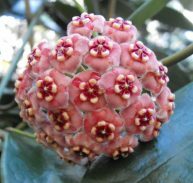 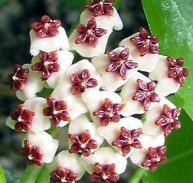 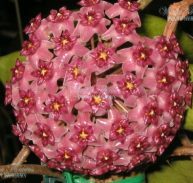 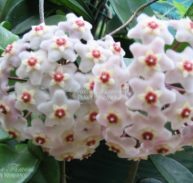 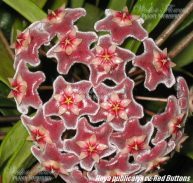 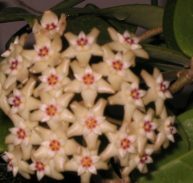 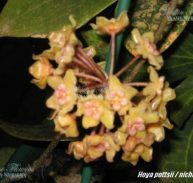 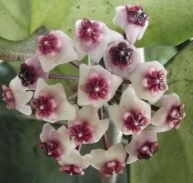 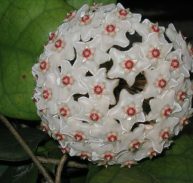 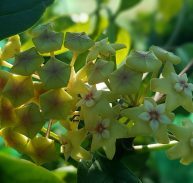 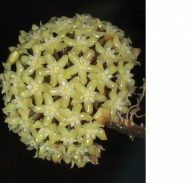 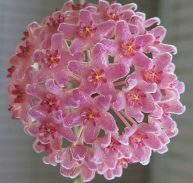 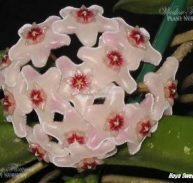 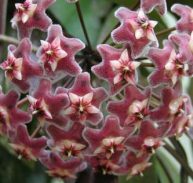 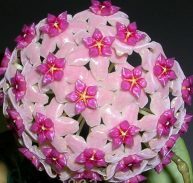 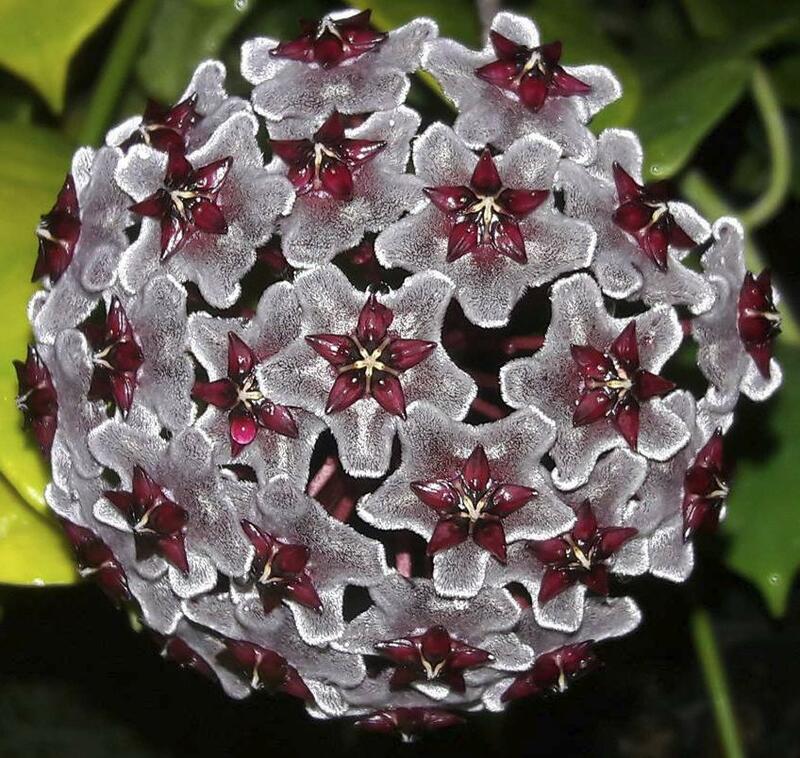 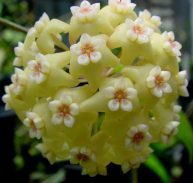 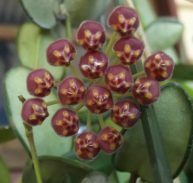 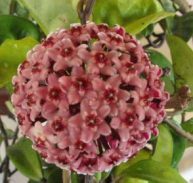 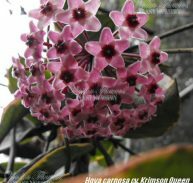 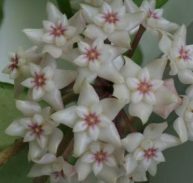 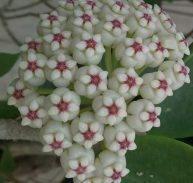 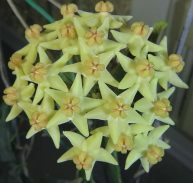 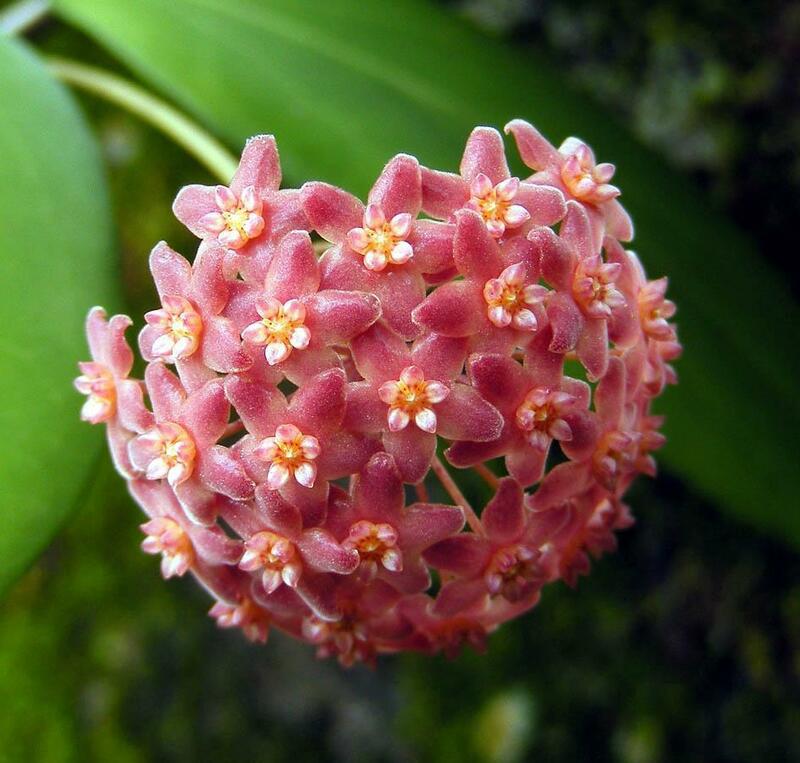 Hoya camphorifolia is a native of the Phillipine Islands and is very quick to grow and flower. 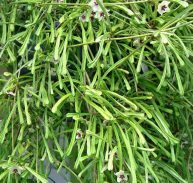 It is a hardy fast growing species suited for ladders or baskets. 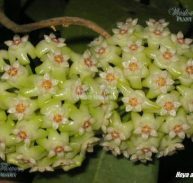 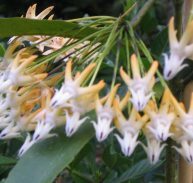 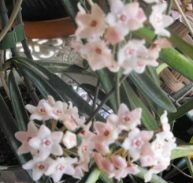 The flowers are 6mm across and come in bunches of 20 to 30 hanging from along the stems. 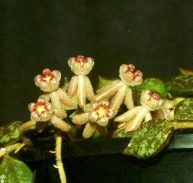 This species has a compact growth habit with short internodes and small ornate leaves. 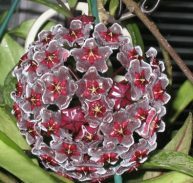 Requires protection from severe frosts and should be undercover in winter in all colder climates. 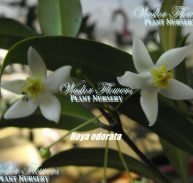 It has a very light fragrance. 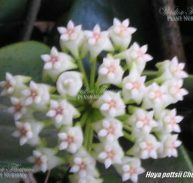 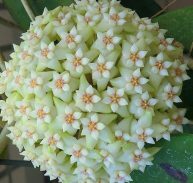 THIS A TOUGH HOYA ENJOY!